Technology is continuously advancing and this is apparent even in the home security field. Regular homes usually have door locks installed that can be opened using the matching keys. 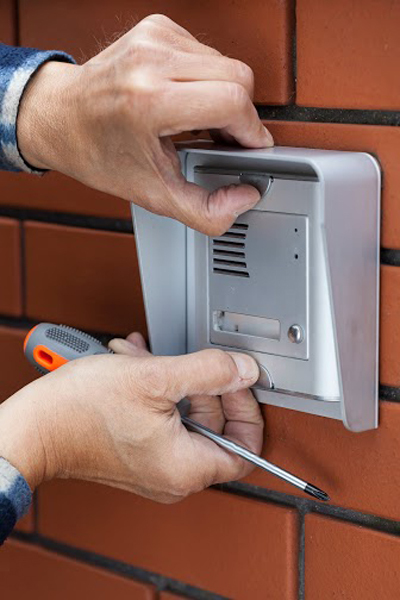 Today, it’s not uncommon that you would find homes that use keyless entry locks, just what you would often see in commercial settings like buildings and offices. If you’re considering getting this for your home, here are your options. Deadbolt locks are considered one of the most secured types of locks to be used at home. The other type of deadbolt locks, which are the single and double cylinder deadbolt locks, both use keys to be opened from the outside. The other one can be turned from the inside, while the other also required a key for opening from the inside. A keyless deadbolt lock on the other hand requires that the right code would be entered on the keypad in order to open the door. This is more secure as you don’t have to worry about your key being lost or stolen. Just make sure that only you know your secret code. If you opt for deadbolt installation, it’s recommended that you change the secret code every month to prevent hacking. You would also find those that come with a key lock feature, which you can open with the right key, in case you forgot your pin. These are the most expensive types of keyless entry locks, but they are the most secure as you will be using your own biometrics in order to get in. The most commonly used at homes is one that reads fingerprints. Upon setup, this type of lock can save your fingerprint, as well as those of other individuals whom you would like to allow access to your home, like your family members. It will scan your fingerprint upon entry and match it with the saved fingerprints. If a match is made, the door will be opened so you can get in. Other biometric locks scan the eyes, while others use voice recognition. However, they are not common in homes and they are mostly used in science facilities and huge companies. In bigger companies that use this system, it can save the biometrics of several users, which is saved in a database. When a person’s fingerprint or eye is scanned, it will match it with the database, which would determine if it would allow access or not. This is the same way that home systems work, although they can only support a few number of users. As the term suggests, this type of lock is operated by remote. This is the same way that garage doors work. The door will be opened with just a click of the remote control. It’s beneficial for those who have disabilities, as well as the elderly as opening the door is more convenient. However, while there’s no home lock key to misplace, there’s a remote that you need to take care of as it could get damaged or lost. All of these keyless entry locks has their pros and cons. Weigh your options to come up with the best decision for your home lock installation.